The Newest Student Living in Lowell!  Now leasing for 2018-2019 at Edge Merrimack River! Live where it happens and experience brand new apartments just one mile from the University of Massachusetts Lowell. Whether you want your own bedroom or the ability to share with roommates, you'll find your perfect fit in any one of our fully furnished one, two, or four bedroom layouts. Roommate matching service is available to those that need it. We also offer individual leases and separately keyed bedrooms. Enjoy modern, loft-style finishes throughout the apartment, showcasing gourmet kitchens with granite countertops and GE Energy Star stainless steel appliances. You'll feel right at home with features like high-speed Wi-Fi, a 50" SMART TV, stylish ceiling fans with integral lighting in all rooms, and the simple luxury of GE washers and dryers in every home. Premium bathrooms include granite countertops and double vanities. Spend more time doing the things you love without the worry of paying for this and that. Pay only one check per month with utilities included (electricity not included). Check out your new home today! **Keep in mind the prices you see below are per bed, not per apartment.